This new course aims to combine a sound knowledge of breeding theory with a range of assessed practical competencies to ensure that the graduate will be a sought-after employee within the thoroughbred stud industry. 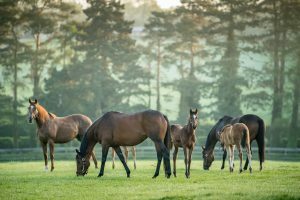 The one-year Certificate of Higher Education in Thoroughbred Stud Operations award will provide a tailored course to appeal to those students interested in developing their knowledge across a range of disciplines pertinent to breeding thoroughbred racehorses. This theoretical knowledge is combined with extensive practical experience and the development of an appropriate work ethic.